1. How long will my termite spray last? There's no simple answer for this one. Probably more than two years. Some older termiticide sprays, like chlorpyrifos, can degrade very quickly. (Apologies for using the chemical names rather than product names - see later. Others such as bifenthrin and fipronil will last longer. Fipronil lasts a disturbingly long time in the environment. Imidacloprid is somewhere in between. Chlorantraniliprole is a bit new but should last at least as long as imidacloprid. The rate at which a poison degrades varies enormously over short distances. The main factors are: the initial dose applied, temperatures, rainfall, soil type, alkalinity, presence of plants, applicator skill and the chemical properties. Then there's disturbance from floods, gardeners and burrowing animals. The chemicals will nearly always last a lot longer under your house than around it. With a chemical, you might get ten years or more service life under the house but find it fails in two to five years around the outside. Some poisons, like imidacloprid, can be happily sucked up by plant roots so that while you might have no aphids on your roses for a while. There's always a risk the poioned-soil barrier mightn't last as long as you'd hoped. --You'll note I used the chemical names rather than product names. There's likely to be some variation between products that rely on the same chemical poison (=termiticide. or 'active') but have slightly different formulations or origins. Even the difference in the size of the tiny particles of poison can make a big difference. You can get your soil tested to see what's there or you can rely on the experience of your pest manager to tell you when another dose is needed. Try not to over do it with applications as more is not necessarily any better but usually carries higher risks. 2. Is spot treatment really better than fumigation? In this answer summary, I've left out the product names. I don't like going to court. "Fumigation" is when they wrap your house and gas it, that is to use a penetrating gas to enter every place that a termite might be. In general, the answer is a simple, no spot treatment as effective as fumigation, regardless of the spot treatment used.. Fumigation means that a lightweight poison gas seeps right through your home and into everything, even right into damaged wood. It is used on drywood termites. Fumigation is generally thought to be bad for the atmosphere and it uses a lot of toxin. It does have the benefit of wiping out every last termite that's exposed. It is the best treatment for drywood termites. It is nearly always useless against subterranean termites because these can retreat to ground when disturbed (but good if they can't get away, such as in a wooden boat). Whole-of-house heating comes close and is perhaps more environmentally responsible (if the plastics in your house can take the heat). Spot treatments can work really well but the technician has to find and treat every bit of infested timber. There may be hundreds of little drywood termite colonies in the one building. Borates and other preservatives do have something over fumigation in that they keep working after the wrappings come off (you wouldn't ever want a gas that hung around) and so these provide some ongoing ('residual') protection. Bottom line is that it depends on the extent and nature of the infestation and that means that you'll probably need to rely on a specialist timber pest inspector to help you decide what's best for you. 4. How do we keep garden termites away from the house? 5. How long will termite baiting take? 6. Do termites tunnel through concrete/mortar/cement/cinder blocks etc.? 7. My home is being baited for subterranean termites. How will I know when they're all dead? 8. Termites are flying inside my house. What should I do? 9. Do ants kill termites? 10. Repairs first or termites first? 11. How long can a termite live? There's no simple answer to this one. It depends. The species, life-type, wear and tear, the colony's health--all these things affect the potential for a termite's long life. A worker or soldier termite can live to about three years in my lab, but most probably only live a year or so in the wild. They can also get killed soon after starting work and so, on average, many only last a few months. A reproductive female, the termite queen is something quite different. In some mound-building species queens are reported to last more than 40 years, perhaps several decades more! The reproducing males also last a long time (pdf). This would likely make them the longest-living insects. As usual, though, termite reality is stranger than we first thought. Imagine an amoeba, a superbly simple single-celled animal. If one splits (binary fission), producing two individuals, is the original one alive or dead? I think it is still alive. Do we think the same if the animal is multicellular and reproduces less simply? The issue arises with termites. Japanese and American researchers looking at the DNA of countless individual termites in a large number of colonies have shown that the some termites of the genus Reticulitermes, have queens that can reproduce themselves parthenogenetically (without using male input ~ see this pdf). Almost a self-clone. So the queen's genes go marching on. Oddly, their research shows the male genes in the colony to be fairly constant, meaning that they have also likely discovered that kings (male reproductives) individually last longer than females. 12. Why are some termites called 'drywood'? 13. What about orange oil for drywood termites? Orange oil is the name given to extracts from the peel of citrus. Mostly this is near pure d-limonene. It is a general solvent. You have probably used it in bathroom or hand cleaner products that have a citrus smell. It kills insects. I specified it as the recommended cleanup solvent for the Blockaid non-toxic termite barrier as it was much less of an OH&S risk than mineral turpentine and is even known to potentially reduce some cancers. So long as you can get it to soak through the at-risk timber, a good dose of limonene should kill the termites but as for any residue providing long-term deterrence, well don't hold your breath because it evaporates. You'd probably need to seal the holes and put a quality coating system over it (filler and paint or varnish) to get any to stick around. If the timber is more than slightly damaged, replacement may be advisable. The usual proviso with drywoods also applies, depending on your situation. You may never find all the colonies, so fumigating the whole structure may be a safer alternative to spot treatments. 14. 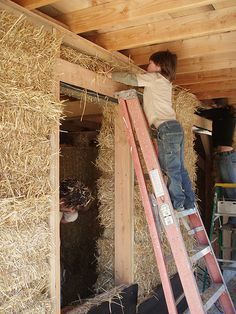 Are straw bale buildings safe from termites? 15. Do I have to worry about termites in firewood? 16. Is product X better than product Y? 17. How can i get rid of termites in my house? 18. What is a fair price to pay to have the termites in my house exterminated? I'm sorry, but there's no simple answer to your question. It is like asking 'how much will my next car cost? ': There are just too many big variables for any single answer to be useful. Price depends very much on what steps need to be taken and this in turn depends on the type of termites, the location, the construction and a whole lot of other factors like how long they've been there, how big is the colony an what colony control method is most suitable..
Let's assume you live i the USA in a typical (not huge) house. You might be super lucky and get a a small infestation of subterraneans killed for $450 but chances are you are looking at something in the range of $2,000 to $4,000. If they are drywoods, a fumigation may even run to a bit more. It may be necessary to put in soil chemicals (termiticide) or to have an ongoing monitoring system as it is unlikely that termites won't try to attack again some time in the future. There's usually no value in words like "exterminate" or "eradicate" except in the short-term. If you find termites, you need to control them and to take steps to manage the ongoing risk. 19. My house is being 'treated' for termites. Will this affect my two year old? Young children (and the unborn) tend to be at higher risk from environmental toxins that are adults. The risk you will face depends on both the type of termite and the type of treatment. that's being done. Basically there are three types of treatment. The lowest risk are with baits for subterranean termites which use hormone-like chemicals to interrupt insect growth. At the rates they are applied, these are very low risk to people (and anything else that hasn't got its skeleton on the outside). Last are the straight poisons (termiticides) which are usually applied to the soil but are increasingly used indoors as well. These always pose some risk, especially if poorly applied. You need to find out the identity of the toxin and look it up on the next. Search on 'toxicity of" and then the chemical name (not just the product name). Termiticides are not all the same, and some termiticides are best avoided because of their risk profiles (such as organophosphates and still in some countries, organochlorines). Nearly all will persist for quite some time, and this is where exposure is likely. Make sure you are away when the chemical is placed and don't return until after the recommended period. You will need to do your own research, but from manufacturer claims, it looks like the current least-toxic soil termiticide is chlorantraniliprole, closely followed by imidacloprid. Many will dispute this. The biggest risk is chemicals sprayed on the soil around the building where your child plays and will inevitably pick up and ingest some (kids eat a lot of soil). Sometimes, chemicals are applied as dusts or foams into wood or wall cavities. As long as any excess is cleaned up (and you don't open the cavity), the risks are considered low. In a few backward countries, like Australia, the government allows for arsenic dust to be used. Arsenic dust is highly toxic, doesn't break down and isn't not more effective than the modern alternatives. It should never be used. If you find unexplained red, blue or white dust in termite-eaten wood or their old shelter tubes, please consider it dangerous until proven otherwise. 20. Should I buy a house that has termites? 21. My grandfather's house is being fumigated. When will it be safe for him to go back inside? He thinks he can go straight back in, but I'm worried that the poison will hurt him. The fumigant used for drywood termites is a very thin gas. It is supposed to penetrate deeply and be all gone before anyone considers re-entry. Perhaps some gas might remain for a while in things like the sponge-rubber of furniture but it will dissipate fairly quickly. I wouldn't worry about washing utensils but I'd probably go through his pantry and dump some food that worried me. 22. I knocked down some termite shelter tubes. They were under my house. Where have the termites gone? Will they come back? 23. How long after termite barrier treatment can I plant my herb garden? You can do it right now, but should keep your garden far from the house. Something over 6 feet or 2 metres is good. The water you add to the soil will be attractive to termites, so the further out the better (but not so far you can't nip out for a herb). If this doesn't work for you, grow your garden in raised tubs that you can see underneath. Make sure that you don't dig up the termtiicide-soaked soil. If you dilute, damage or remove the volume of poisoned soil, you may enable termites to enter. This is a bigger risk if your termiticide was a repellent one, like Bifenthrin, as the trmites can easily detect where there are gaps. Leafy greens will often take up toxins from the soil and some termiticide sprays (like imidacloprid) are taken up by plants. That's good if you have aphids, but but maybe not so much if you have termites. Most perimeter sprays aren't much good after 5 years, but it is still best to leave them until your regular inspector says you need more work done. 24. Will garden mulch attract termites? 25. How can I stop termites eating the seedlings/ trees/ herbs I have planted? 26. What is termite baiting? 27. How do drywood termites get to my house? 28. I found termites in the garden. What should I do? 29. My neighbor has termites. What should I do? 30. Why are the termites attacking MY home? 31. Will a baiting system ensure that my home is not attacked? 32. We've had flooding rain. How will that affect the termites? 33. How do we design structures to manage the risks of termite attack? 34. How do I choose the right pest manager? 35. How are termites controlled? 36. Can you give me a quick summary of ways to control termites? Take the moisture away so that they can't live. If you can't find nests, but have located leads (shelter tubes) and areas of high activity then applying a very slow-acting non-detectable poison (by dust, foam or liquid) cause it to be shared widely before any individuals die, thus having a good chance of killing the whole colony. If you know they're there but can't find good numbers, then baits can be used to aggregate large numbers for poisoning. Commercial bait systems often use very slow acting hormones and it may take weeks or months to see a result. 37. I've found termites, what should I do?